Before his conversion and subsequent ordination, John Newton (1725-1807) was a sailor. During that period of his life life he rose from deckhand to Captain. He was the Captain of a slave ship during his last years at sea. 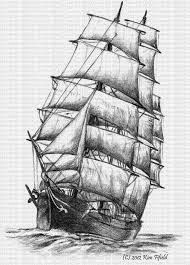 Legend has it, and I love legends and the truth on which they stand, on his final voyage he turned the ship around, returned to Africa, and there released all of the men and women he had been transporting to England and a life of slavery. After years of studying Christian Theology. Years which included the self-taught learning of both Latin and Greek, he began his career as a minister. While serving in that capacity, he began writing hymns, one of which remains today the standard for all Christian hymns. If ever a song has changed a single life, Amazing Grace has change countless ones. This morning, as I listened to a version of the hymn I'd not heard before, my mind snapped to the first passage of Furies of Calderon, the first in the Codex Alera series of novels, which I read just before I slipped into sleep in the single-digit hours of this morning. I've copied it below for you. Suggestion - Before you begin reading it, start the video and listen to Amazing Grace as you read. FROM THE WRITINGS OF GAIUS PRIMUS FIRST LORD OF ALERA. My point isn't to promote Amazing Grace, John Newton, Jim Butcher, or IL Divo. I just used them to assist me in making my point. Our world, yours and mine, is the product of the labor of individuals. It is the manifestation of the decisions, commitments, and effort of every individual who has lived, is living today, and will live long after we've moved to the next thing. We are responsible for the world—a trust not to be taken lightly or for granted.